Welcome to the Trophy Hunting Greenland webpage. We are a small trophy hunting business with hunts in the area around Kangerlussuaq in Greenland. Owner and hunting guide Erik Lomholt-Bek has over 30 years of hunting experience in Greenland, both winter and autumn hunting. 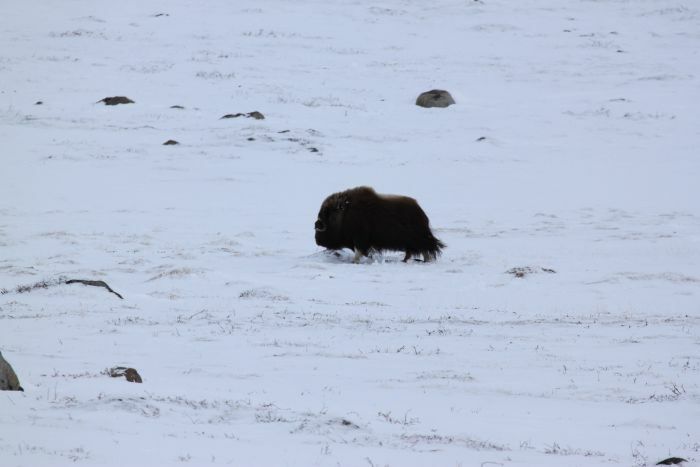 Winter Hunting in the period March 1 to April 10, with a focus on musk oxen, combined with hunting of caribou and small game. And autumn hunting from august to october. Our products are with a more even level of service in terms of accommodation and meals, it is not luxury, and the trophy hunter participate in the work to fix animals, cook and take care camp etc. On the other hand, our prices are very favorable for the hunter who does not want to spend a fortune on a hunting trip. Our hunting trips are focusing on the whole experience, so we live in the camp out in the hunting area, and bear hunting as close as possible to an authentic experience, so it's out in the wild and the whole event is held so it's more like hunting buddies who are on hunting together where you share the work, and the animals have a chance. Our hunts are alle 1 guide pr 2 hunters. Crossbow is not allowed in Greenland. Compound bowhunt only with clear accept at booking, and as 1:1 hunt. Also visit us at facebook for more pictures, you will find us HERE.